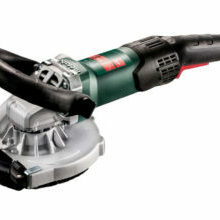 Makita has unquestionably the largest cordless platform on the market. If you have followed for more than a minute you have noticed we love it. It has served us very well for 14 years now! How is this even possible? 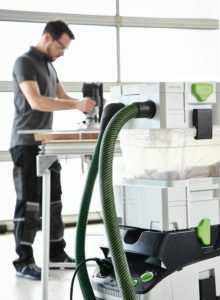 LXT launched in 2005 as the first successful lithium ion power tool platform. I am happy to say that I still have and use some of those original tools from 2005. I have replaced most of them with newer more powerful brushless models but I kept a drill and impact driver and they are still going strong. 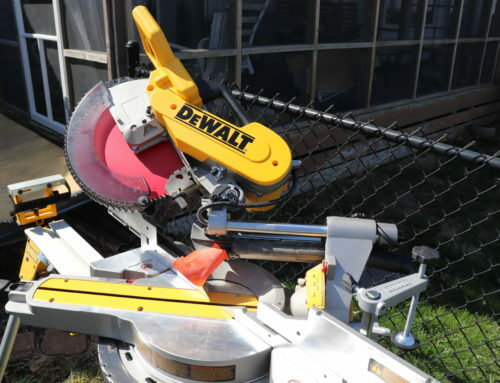 They have always been and continue to be one of the most important power tool companies for the remodeling and restoration work we do. Makita professional and industrial power tools are known around the world for their durability and dependable performance on the job. I live in the Midwest where Makita Tools aren’t quite as popular as they are closer to the East or West coasts. We don’t get all the new tools at our local Home Depot store so I was glad to be able to partner with Home Depot to check this new 16 Ga. nailer out. We have run across more than a few people who feel when we receive a tool for review it’s automatically going to get a glowing positive review. That is far from the truth. I have quite a few sponsored reviews here and on Instagram where I clearly state I would not buy the tool. Sometimes whether I would or not depends on application. I am still deciding how I feel about this one. We’ve been using the Makita 18V LXT Finish Nailer for a while now. We have primarily used 2” nails on primed 3 1/4” pine and poplar base and casing as well 1×6 rough sawn western red cedar. With the Makita 18v 2.0 amp hour battery Home Depot sent, it had enough power for these types of base and casing. I did have a few nails that didn’t set all the way but only when the battery level was at 1/2 charge or less while nailing at an angle. On straight nailing and full battery they were always countersunk with a nice tight hole. 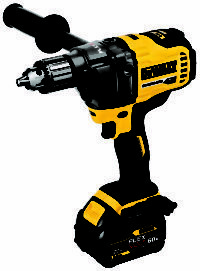 No cordless nailer yet has enough power to sink a full 2 1/2″ nail in solid hardwood. I don’t really know of a situation that would call for it since most trim is either soft or hardwood nailing through drywall into SPF framing lumber. If we are installing hardwood casing on hardwood door jambs we never use 2 1/2″ nails. The extra length is unnecessary and adds more chance of a blowout on the work. This Makita has enough power to sink 1 1/2″- 1 3/4″ nails which should be more than enough for hardwood casing on a solid hardwood jamb. I was really hoping this new Makita would be something that would easily beat the other guns on the market. 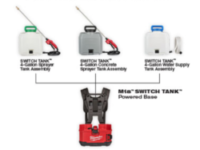 I would choose this over the Milwaukee Fuel and Senco Fusion nailers. If it proves durable I may even prefer it over the DeWalt. Time will tell. My top choice is Paslode but there are drawbacks to them. They are not cordless only. You must purchase gas cartridges as well. The cost can really add up if you shoot a lot of nails. the Paslode guns also require regular disassembly for cleaning and lubrication. I’m can’t say if this gun is worth buying for you because everyone’s situation is different. This guns cycle is a bit slow. With pneumatic and some other cordless guns the shot is faster. I did have to get used to the timing of it. I hold this one tight to the work longer to make sure it is done before I relax. It does seem to have good power for most trim when holding it perpendicular to the work. On one remodel I noticed a few heads that were slightly proud of the surface when I angled downward for the bottom nail on some baseboard. It does better when I take the bumper guard off but I don’t feel like it is the best practice because I don’t like dents in my work. The customer will probably never see them but I would and I sleep better at night when everything is perfect. In the guns defense the battery was on two bars. When I put a full battery on the heads were driven past the surface. A 5.0 gives it even more power. More to come. I’m certainly not done. This gun holds promise for those who are on the LXT platform and don’t want a Paslode because of the gas. It seems good for small jobs and punch list work. For a whole day of trim I am still firmly in the pneumatic camp. I am checking out lots of new pneumatic guns as well but that’s a post for another day. How many of you are using this gun? What are your thoughts? One thing to keep in mind is they do offer a 30 day satisfaction guarantee. If you try one and don’t like it you can definitely get your money back. Heard good things about this weapon ! 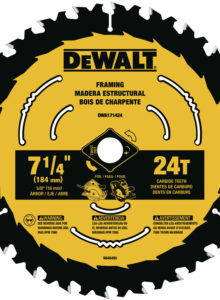 Desperate to get my hands on this little gem, been using the old paslode straight fixer and it’s slowing up real quick, trialed the millwaukee fixer and they seem to jamb quiet easy , almost as bad as the new paslode angled fixers, be over the moon to pay to win this and happy to past postage as living in the Aus! Slowly starting to build up my tools, would love to add this to the bin! I’ve said this a million times and I’ll say it again. Makita is better than Dewalt because Black and Decker owns Dewalt. Wake up sheeple! I’ve been dreaming of leaving the compressor and hose in the van! Love my makitas, this looks like a necessary tool for any trim carpenter! Been slowly adding tools to the collection and have nothing but makita right now, this would be a perfect addition. 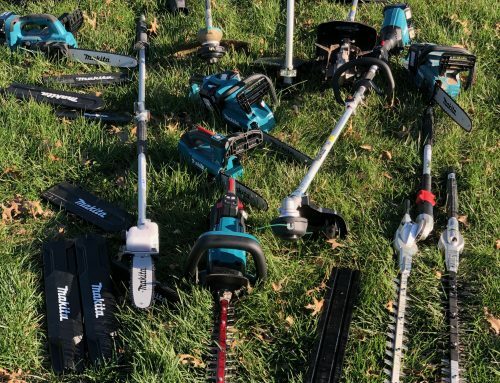 Love the makita line of tools and your reviews! @agelectrician this would be killer for trimming out all my doors and windows! Would love to run. This side by side with a Hitachi!! I have been thinking of getting a cordless finish nailer for a while now. Just to trying to ditch cords all together! Lately, I have been taking up remodeling some of my parents rentals and turning them into AirBnB’s. Having this will make the job of putting in base and case and other trims Way easier and have the cord and noisy compressor. I forgot to leave my name tag! I’d love to try out this nailer! I’m still lugging around a compressor on every job…something like this would really boost efficiency! Thanks Toolpig! 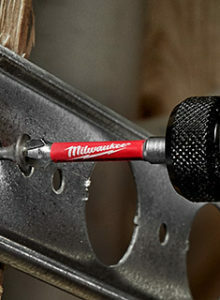 I’m usually a Milwaukee guy, but this finish gun looks awesome! I’d love to be able to use this around the house and at the shop! Thanks for the review! 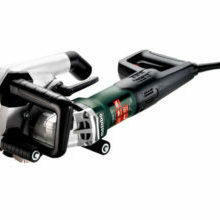 I’m usually a Milwaukee guy, but I would love to try and this makita finish gun. I always see you post good things about them. I’d love to use this at the shop and around the house. I recently got the 18 gauge nail gun from Makita. I love it!seeing these tools go through a beating on a daily basis and still work consistently has sold me! Love your tool reviews. I’m a big Makita fan and I would to add this to my makita collection. I only have one Makita tool right now. But from what your saying this maybe a finish nail gun I need to replace mine from harbor freight. Would to expand my Makita line up. And based on your review this would help at my property alot. I am a Makita guy, through-and-through. I’ve had my eye on this gun for a while and can’t wait for a 15ga to come out for door installs. Autocorrect changed my IG to a different username!! Loving makita content can’t wait to see how you like it! Thanks so much for the review! 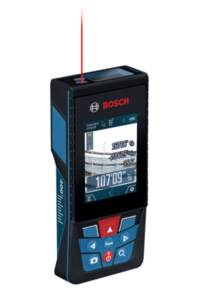 This looks like A great tool to own . Better Then dragging a comparison and air hose around. Working smarter and not harder is the way to be. I’m a big fan of your Instagram page. Thaxnks for the review. I need one of these to finish my trim work. 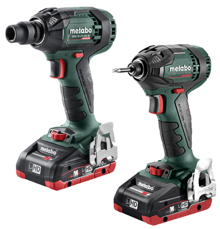 Have been looking into one of these as I already have all Makita platform tools. Would make punch list and small trim repairs way better. Keep up the great reviews. 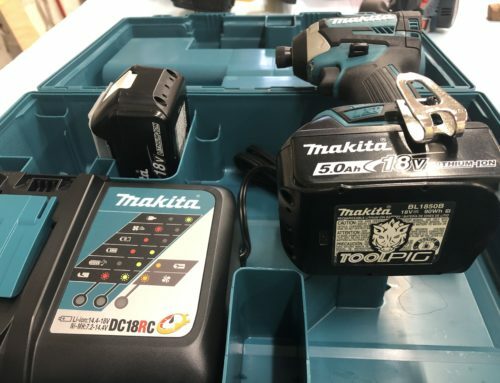 Love Makita, and I would love the chance to win this nailer to help with the money I lossed on the only Makita tool that has ever been a disappointment to me. The 18guage battery nailer. I’m finding more & more Makita tools I like. Awesome stuff from Makita,.. they ALWAYS knock it outta the park,.. in my opinion. Great review toolpig. Thanks for all you do on social media to share your knowledge and expertise on all these great tools and equipment,… AND all I see and hear of you doing in communities to help out all over the world ? Would love to put this bad boy to work! 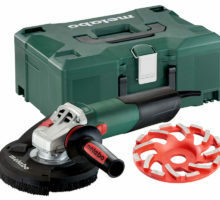 I don’t have any makita tools and this one looks like a good one. Just had the second surgery in both hands for carpal tunnel syndrome. Hard to use a hammer. Thanks for the review toolpig. I also have been using Makita cordless tools forever. Still on the fence if I need this nailer. Would be great for the quick repair or warranty work. And would look great in the arsenal of tools to choose from. Makita is bringing the heat as always! Thanks for the solid reviews. You have some pretty sweet reviews and great content. Would love to add one of these to my kit. I love @toolpig!! He helped me and my wife with the grace cordless paint sprayer and is one hell of a dude! What he uses and test is what we buy bcse he speaks the truth when it comes to our hard earned dollars! Absolutely love your in depth, concise reviews. I use mostly Makita and have been eyeing this nailer for a bit now. Thank you for your time for the review, and for the giveaway opportunity. This would be awesome to have . I’m a big fan of Mikita. Would love to add this finish nailer to my makita collection. Will be doing a basement remodel soon and this would definitely come in handy. This would be nice putting down transitions on laminate. Not having to get compressor out all the time. Really wanting a 18ga. Hey ToolPig! I would love this! I need to redo a bunch of trim in my house and this would be perfect for my first nailer. I really don’t know what to buy on my own. Id love to try this for punch list stuff when getting out compressor and hose is kind if a pain for just a couple nails. Ive never tried a “hoseless” nailer but seems really convenient. Seems like this might be good for a little frame/canvas stretchers production. Definitely nicer than rolling out the compressor. Love the portability and ease of use on a tool like this. No hoses, no compressor, just straight getter done ?? absolutely- we are choosing winners here on the website- just leave an email of how to contact you if you don’t have social media. This looks awesome. Looking forward to the full review!!! New follower of yours ??. I appreciate what you do with the tool reviews. Makita makes a great product, haven’t used a airless nailgun but seems awesome. Makita for life, I’ve been running makita only for 15 years, I just love it, I’d love to add this tool to my aronsal. I love my 23g nailer and all my makita tools I would love to add this to my increasing collection. I’ve really wanted to get a cordless nailer for those pesky small jobs and punch list items. I’ve been a makita user for a long time, and all my cordless tools are on the lxt platform. I wonder how this matches up to the milwaukee, I’d love to add this to the tribe. This would be a great tool to have, and i can’t wait to win them!? Thank you for doing all your reviews. They’re quite helpful, and very useful. I’d use this gun like crazy. Battery op finish gunning sounds slick ? Looks like an amazing machine. Would love to give it a try. Used to work with Senco. That thing would make my life allot easyer! I legitimately need this to finish my project! I’ve been reading reviews and searching around for the best one to get, and this was definitely on my list. We are redoing our floors with LVP and I plan to remove the base molding to get the LVP under the trim and do away with the quarter round… I need this 🙂 . Need. Replacement after my last one went belly up. One of many of makitas awesome 18v line up! Makitas is number one in my shop and Always will be ! Would love to try airless finish nailers could be the best thing since sliced bread! Can’t wait to try one of these. Thanks for sharing brother. I have the 18g Dewalt so this 16g makita would be a great addition. Seems like a decent gun! I need this. Makita for life. Great review. 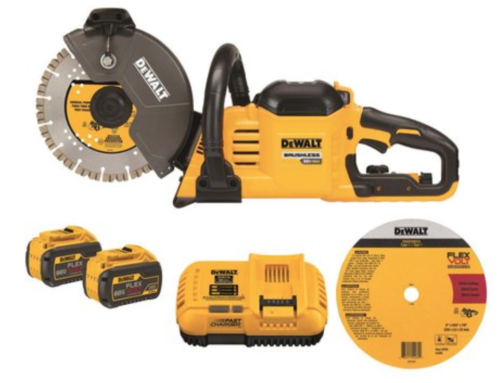 I currently do not have one.. Have only used air nailers in the past, and have been putting off getting one for a long time in hopes a good battery powered one would come along. Would love to give the Makita a try. Thanks for the opportunity and good luck to everyone! Appreciate the very unbiased review! I agree pneumatics are still the way to go for any large quantities of work but guns like this would fill the punch list/small task/relief work with no compressor available categories quite well. Would love to try it out! I’ve never used Makitas cordless nailers but so far I’m hearing great things about them..curious to see how these hold up over time! Would love to add this to the ever growing teal arsenal I’ve been collecting! The convenience of being cordless is welcomed. Would love to see this thing run through its paces on a production job! Would really like to be able to lose the hoses. 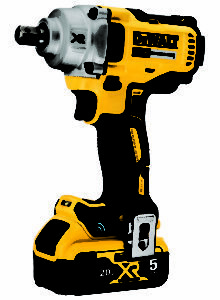 I’m fully invested in the Dewalt battery platform but Makita definitely has a competitor line up. Looks like a quality tool. Always wanted to work with some Makita products. I’ve always wanted a cordless gun. I run makita so it’s perfect. Would love this!! Could very much use it fir volunteer work I help with and also disaster relief. There’s not always power so battery operated tools are a must !! This is AWESOME! I participate in volunteer relief work, and this would come in handy for those times when there is no electricity. Great review would love to add this one to my collection. Waiting for gasless 1st fix gun ? Light enough and easy for a lady to handle especially when husband isn’t around to help. Wouldn’t mind having one of these. 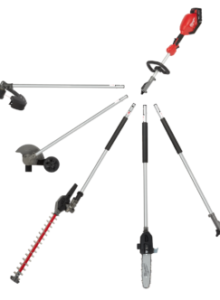 Makitas extensive cordless lineup is the reason I chose their platform over others. I have and live my makita cordless pin nailer and would love to add this finish nailer to my collection. Never had a makita tool. I sure like the review and honesty. 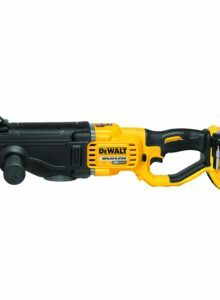 I’m only writing a comment because I want a cordless nailgun and wouldn’t mind this at all! Nice review! I really need to consider adding a finish nailer to my toolbox. Could really use this to add to my Makita collection! I definitely need to look into the makita brand lineup more! This seems much better than a separate compressor, hose and gun setup. Really easy to knock out those quick jobs without having to lug a bunch of stuff around. Plus it seems pretty quiet. Quite, quick, smooth and easy to use! Compared to the my air compressed one, not only this beats it’s from what I mentioned, it also seems a lot cleaner with no oil residue. A must for finish work! Especially on white surfaces. Love your tool reviews! They are all very helpful especially when I’m considering a new brand. I’ve always used makita tools they make a great product. Great review, look forward to hearing the final verdict. Great review, haven’t owned a Makita tool that has done me wrong! I hope this is where we leave the comment to be entered in the drawing for this makita nailer. Looks like a decent addition to the line up. Would be handy to have around. Thanks for the review. This mirrors what a cabinet maker I know said about his. I think this gun definitely needs some refinement! Keep it up! No gas has to be a winner, surely?! Great review Paul. Love Makita there just lagging behind on a few tools. Saying that the nailer would still be useful, I wouldn’t mind having one. I wish the other ones had bump stops. I use my 18 gauge all the time. I build many small projects. But looking to add this because of the longer nails!! solid review, thinking cutting the hose and going battery power for my finish nailers. Gotta be a great gun for punch list and or a really small job. Makita is really peaking my interest with all their top quality tools. This nailer looks like a great addition and I would like to try out the16 gauge as I have a couple 18 gauge! Keep up the good reviews. I have many Makita tools but not a cordlessnailer. This looks great. Thanks for the review. Thanks! Hope to win one of these badboys. @maac_n_cheese on instagram. Man I love these things !! They would help me out so much with time , eliminating the hoses and compressor on all jobs so I could price them correctly to actually make some money ! I just got into the makita 18v lxt line up and I’m super excited about it! 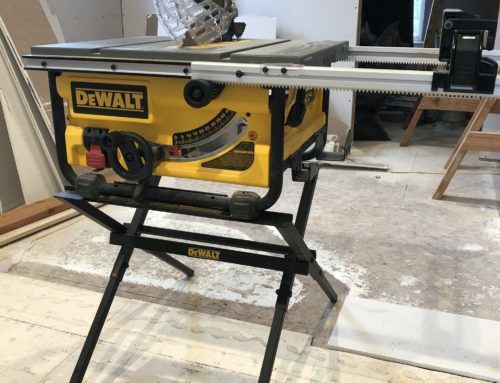 I’d like to know about this nailer because I’m getting into wood working and I will soon have to put down about $400 of quarter round in our house. This would be awesome to have so that I don’t have to lug a pancake compressor all over the house. I love seeing what you post on insta as well! Thank you for the review, would be perfect for small jobs, just today I had three pieces of base to nail up, had to drag my compressor hose and gun out for three pieces. This would have saved a lot of time. Keep it up brother. Nice, even with a few not being fully sunk into the wood the convenience of not being hooked up to a compressor would make many small trim patch projects less of a hassle. Looks like a winner to me especially for someone with out a battery powered finish nailer. If you don’t know by now, I LOVE MAKITA TOOLS! Love my track saw and impacts. However, I’m hesitant pulling the trigger on their cordless nailer (or anyone’s gun really) because of their price and very few negative reviews. If I get the oppurtunity to try this gun by winning it, and find out if it’s great or not, I’ll be open to buying other Makita 18V nailers. Thanks toolpig! Been wanting to try a cordless finish nailer ever since they were released . Just haven’t pulled the trigger yet . Thanks for the review! I have been switching a couple of my M18 tools over to LXT and have been impressed! This looks like an amazing machine. Makita seems to have a great product range. 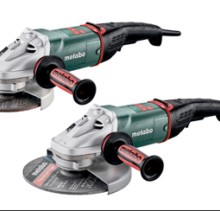 Would love to test out this nailer with the rest of my makita set…. Someday. Always like your tool reviews. I have pulled the trigger on a few things after seeing your posts. This is one I have been on the fence about. I’m already on the Makita platform but the nailer reviews I’m not sold on yet. Maybe a test run with this for small jobs/punch list would help. Thanks. Thanks for the honest review on this 16 ga Makita. I completely understand how it could be great in some applications and perhaps not the best in others. Still seems like a good tool though especially for some of the smaller maintenance jobs we occasionally do. I would LOVE to own one of these! Thanks to your “deal alert” on the XSL06 last April, I’ve converted a majority of my other “brand name” tools to Makita’s cordless line and have been incredibly happy with the decision. 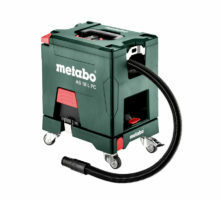 And up till a few days ago when i started installing the trim in our home and lugging my Makita compressor all over the house, i realized how nice it would be to eliminate hoses as well… just trying to figure out how i can justify that cost to the wife?! I need this in my life! I have the 23g pinner, need this to make a dream team! I’m slowly working my way into the Makita platform and this would be a great addition to my lineup. I primarily use my nail guns to tack face frames or edging while glue dries and not having to drag out the compressor and hose ( and pop circuits) would be a huge timesaver. Must. Have. More. 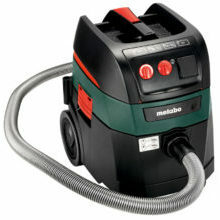 Makita. Tools. Honestly I’m getting tired of dragging my compressor, hose and gun around for little 30 nail jobs. That and I have lis of lonely batteries that need a tool. This nailer seems really nice and is quiet too. Would be a great addition to the arsenal. I’ve wanted one of these for a while… I’ve been doing a lot of finished hardwood lately. I would really like to seea final review on this …I’m currently looking for something like this and very compact! Was thinking about this gun a flooring contractor who uses a lot of glue… hoses and floor glue can become a real mess with glue-assist becoming our standard installation type. I wonder if this gun would have issues shooting through hard wood? Would love some feedback. 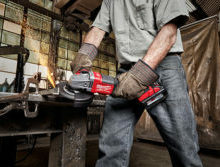 Cordless nailers have become a necessity lately as they deliver as much power needed as as air nailers. They keep getting better and have added features we all can appreciate. Time is money folks and if I can save time without compromising quality I’ll choose it every time. I just branched out into the Makita plateform and am really excited because they seem very promising. 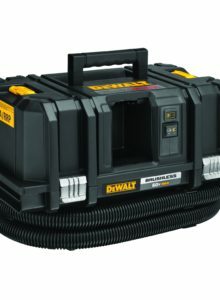 I’m a superintendent so this cordless nailer would be perfect for me, I’m not trimming out an entire house, but I hate bringing my compressor and nail gun out to re install one small window skirt that the granite installers knocked off. Anyways, love your instagram and all your reviews. I’ve been looking to add a cordless 16g to my arsenal. I have other gauges in the Hitachi line, but I’m heavily invested in the makita 18v platform as well. Thanks for the honest review. I would love to try one out for punchlist work. Seems like a pretty heavy duty gun. Have you had any issues with the gun leaving any nails proud? I love Makita tools! I wish we had a home depot here. Or at least a little closer. I don’t like lowes too much. That’s who we have local. Every home depot I’ve been to is better to me. Better help. More selection of tools. And husky is pretty good too. The next tool I really need is a 16g cordless gun. I have a 18g. So when I need more holding strength I have to drag out the hoses haul around a air compressor. These battery powered nail guns are so much more practical for me in my business. Thanks for all you do tool pig. Best wishes. Rigsbee002 would love one of these!! I’ve got and 18g nailer but I’m needing a 16ga cordless nailer for some upcoming jobs. This would be an awesome gun. Who wants to drag around a hose and compressor? Makita always makes quality tools and I wouldn’t expect anything less from this gun. Oh wow I have been waiting for a 16ga from makita!! How is the kick back ?? Does it work with 3-5amp batteries?